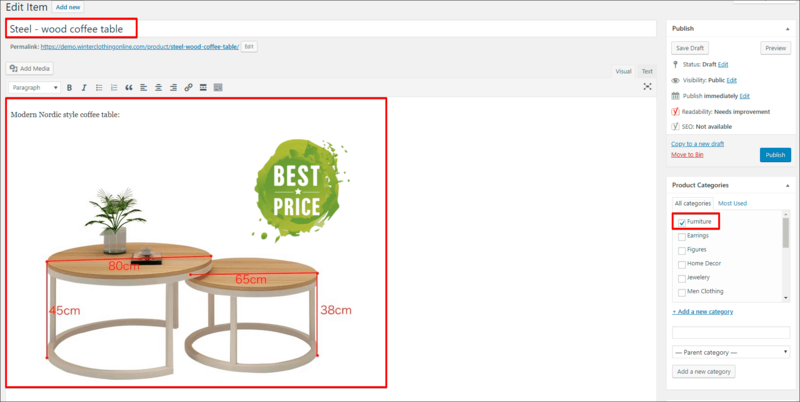 You can populate your web store with your own products, even if they are not on sale on AliExpress. Please bear in mind that these items will not be synchronized with AliExpress API and will not be updated (stock, prices, etc.) automatically. 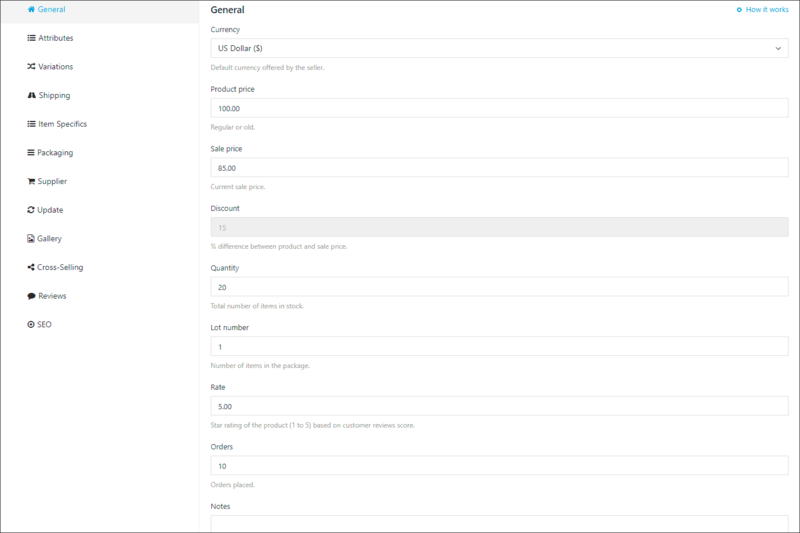 Fill in all fields with the information: select currency of the product (default currency of your store), set product’s regular and sale prices, set total number of items in stock, etc. You can put some important details in ‘Notes’ field, this is hidden from public view area. Add attributes to your product, in my case I have only one attribute – Color. 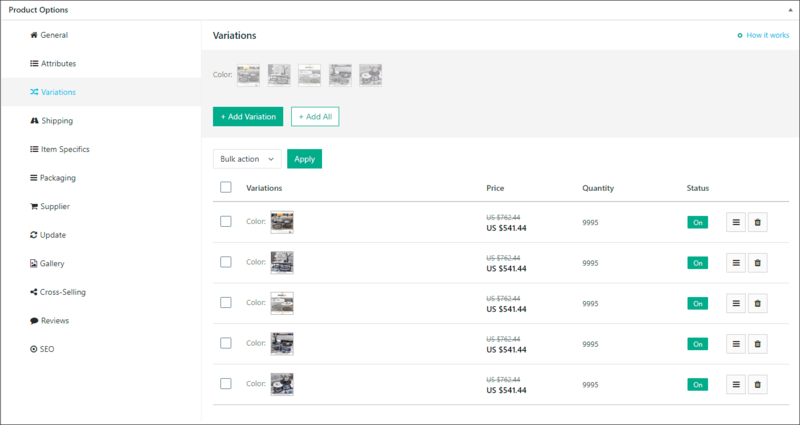 As we have only one attribute ‘Color’, we will have the same product variations as attribute. Click ‘Add All’, plugin generates all possible variations automatically. If your product is simple and it doesn’t have any attributes and variations, just leave these sections empty. This section is connected with global Shipping settings. 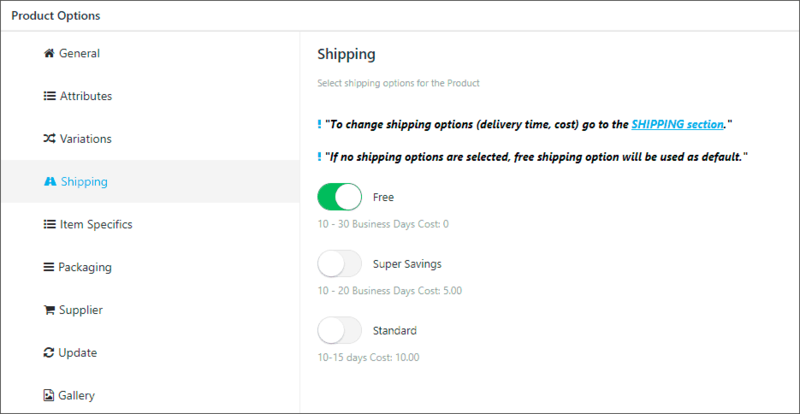 In my example I have shipping enabled per each item in the cart, so I’m able to select shipping options for each product individually. You can add some of them like AliExpress suppliers do, but also you can leave this section empty. 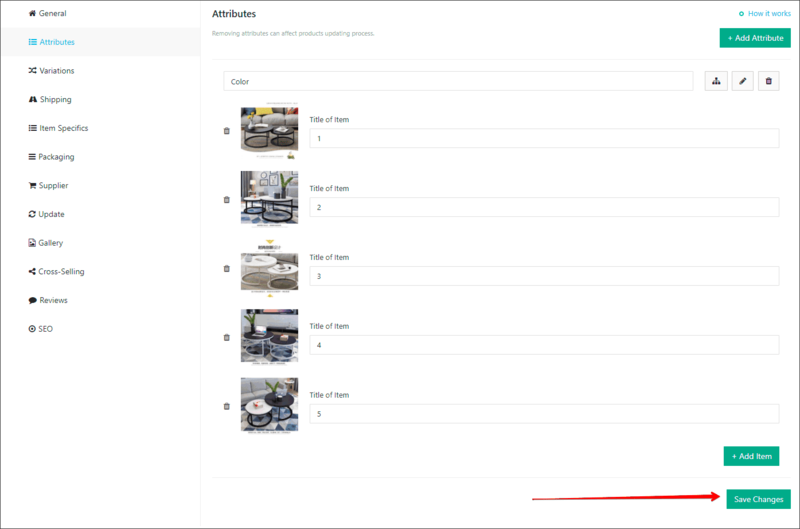 Sections ‘Supplier’, ‘Update’ and ‘Reviews ‘ could be remained untouched as long as your product is not connected to AliExpress. Add images to your gallery. Product options -> Cross-Selling: READ HERE. 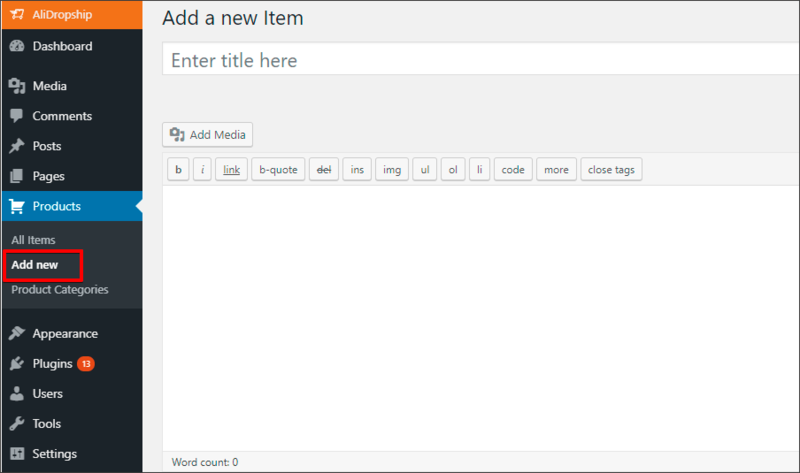 Add Title, Description and Keywords for your product. 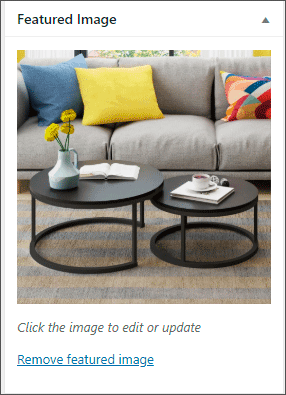 Finally, set featured image and Publish your product! 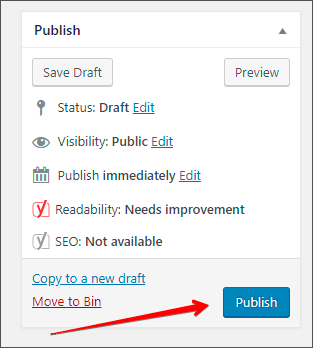 AliDropship Woo plugin: read instructions HERE.